A group exhibition of young artists will be held in Art Tower Gallery on September 11. The exhibition will be held as part of "Start" art project, which aims to reveal the creative potential of the youth, as well as support and promotion of young artists. As part of the project, young artists will present their art works in many different styles. 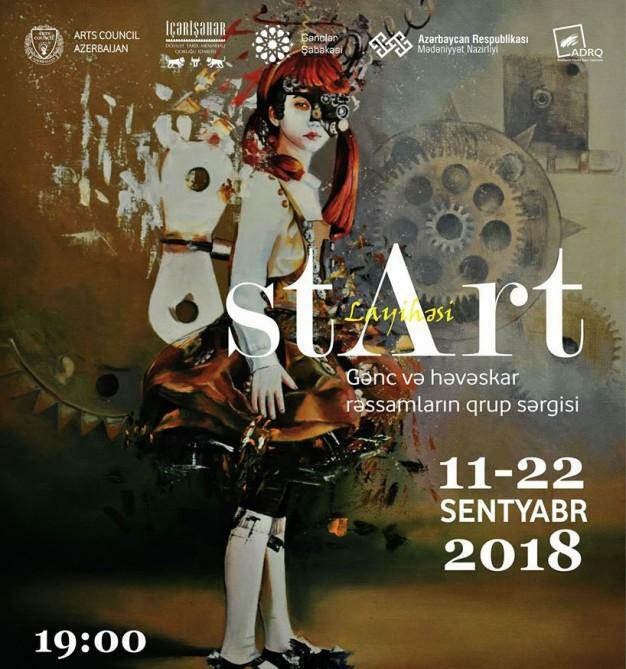 The event is co-organized by the Icheri Sheher State Historical-Architectural Reserve, the Ministry of Culture, the Azerbaijan State Art Gallery, NGO Arts Council Azerbaijan and Youth Network (Gənclər Şəbəkəsi). The exhibition will be open for visitors for a week. Many projects have been operating for many years under the auspices of the organization. Among them are Art Gazette, Production Studio, Azerbaijan Animation Museum named after Nazim Mammadov, Art School Drawing School, "Under open air" plein air, Art Residence, Youth Network.